With the increasing globalization of the world, authenticity of diplomas, certificates and documents is a big problem. VAMK was interested in finding an easy way to secure authenticity and validity of information of their documents. With UpCheck™ being able to authenticate and track documents globally, authenticity and validity can now be assured. Using a mobile phone to authenticate and track, you can even access the document remotely. Only provider with the right technology and in-house auto-ID competence. Documents can now be checked for authenticity. Possibility to track certificates globally. 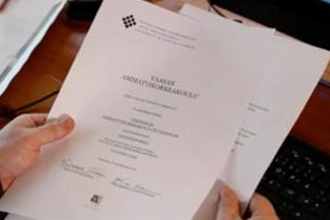 Paperless certificates.